Judith Lucy will have a new ABC series, Judith Lucy is All Woman, looking at the role of women in modern Australia and whether they are better off than they were 50 years ago. The six part series is one of several projects funded today through Film Victoria. Lucy’s first doco series Judith Lucy’s Spiritual Journey was an enjoyable look at religion so hopefully this is just as strong. Film Victoria has also invested in more Offspring, Jack Irish, The Doctor Blake Mysteries and a one-off doco by Adam Zwar looking at the Bodyline incident in cricket, presumably for the ABC. 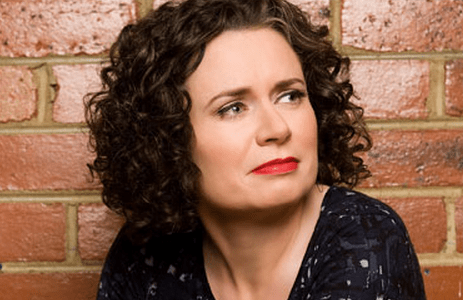 Synopsis: In this six-part series for ABC TV, comedian and author Judith Lucy will use her own life as a starting point to explore whether women are any better off now than they were half a century ago, when the first bras were burnt in the name of women’s lib. The series looks at where women are at in modern Australia – and what that means for men. Synopsis: This is the story of one of the most well known but perhaps least understood moments of conflict and controversy in the history of sport: The infamous Bodyline test cricket series of 1932/33. Cricket loving comic and writer Adam Zwar will try to discover what happened at the crease and chart the wider social and cultural implications of the controversy by enlisting historians, sports scientist, and cricket stars to simulate the actual events. Her annoying delivery is second only to Dave Hughes so a big no from me. I predict she will say it’s better being a woman now than in years gone by as they can drink, smoke and takes drugs to excess just like men. Oh no, Judith Lucy? I don’t know what it is but there is just something about her that I hate. I always have hated her. The fact that the ABC now has her pushing feminism puts her even lower, if that is at all possible. I wonder if anyone has told Judith that sarcasm is the lowest form of wit. Judith does this kind of thing very well and I can’t wait for it – but imagine her in a Curb Your Enthusiasm-style comedy. I think her dry wit would be perfect. Oh great, I love Judith Lucy, we need more of her on TV. Loved her Spiritual Journey series, it was very interesting.